This outstanding example of a 2008 Toyota RAV4 is offered by Sonia's Auto Sales. The Toyota RAV4 offers a fair amount of utility thanks to its advanced features and unique styling. It's also quite sporty, and injects an ample amount of handling chutzpah into the ridin'-high body of a family-friendly SUV. Taking the road less traveled has never been more fun than with this 4WD. 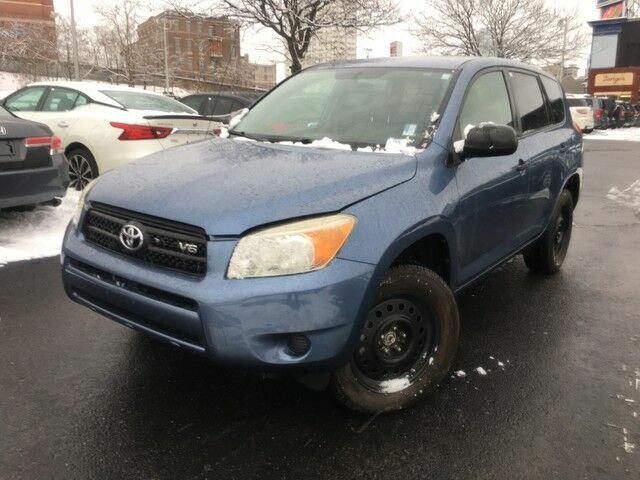 With improved performance, mileage and acceleration, this 2008 4WD Toyota RAV4 is king of the off-road. A Toyota with as few miles as this one is a rare find. This RAV4 was gently driven and it shows. Tired of replacing tires? You're in luck. This vehicle just had them replaced for you. This Toyota RAV4 is beautiful and the interior is clean with virtually no flaws. More information about the 2008 Toyota RAV4: The 2008 Toyota RAV4 has a very roomy interior for a compact SUV and is one of the few models in its class to offer a versatile third row of seating. The V6 available on the RAV4 is the most powerful engine in its market segment, and it makes the RAV4 quicker than some performance-oriented premium SUVs. Both engines boast impressive fuel economy. This model sets itself apart with Roomy interior, available third-row seating, acceleration with V6, standard safety features.